To apply for the admission in the various ITI Institutes of Madhya Pradesh, the Directorate of Skill Development, Madhya Pradesh’ invites the application from all the eligible and interested applicants. 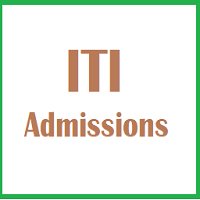 MP ITI Admission Notification is announced every year. MP ITI Application form will be available in the month of May. Candidates are advised to read the complete details before filling the MP ITI Application form. MP ITI 2019 Registration Process will be started from 1st week of Jun 2019. 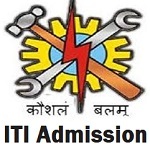 Click Here to apply online for MP ITI 2019. Candidates need to register online through the official website which is iti.mponline.gov.in. Before filling the application form, candidates must have to read the instruction carefully. It will be required for all the applicants to fill the correct information in the application form. The online application form will be issued from the website. After making the payment of the application fee, candidates need to take the printout of the application form for the future reference. The application fee will be Rs. 250. The application fee will be Rs. 150 for the candidates of the served category such as the SC and ST category candidates. The application fee can be paid by the applicants through the credit card, debit card or net banking. On the basis of the merit, the admission will be given to the applicants. On the basis of the performance of the applicants in the qualifying examination and the entrance exam, the merit list will be made. Graduates of the reserved category will be offered the admission in the reservation quota. The competent authority has the power to take a call on the admission of any individual and each candidate bound to follow it.